In this blog post we build a robot for as cheap as possible! Got an Adafruit PyPortal? Well I recently had an issue with a corrupt code.py file. Here is how I fixed it. Want to load a GUI application when your Raspbian desktop starts up? Well here is the post that you need. Using a cheap micro controller and some NeoPixel LEDs we can make our own rainbow animated cinema sign! Can't tell a 220Ω resistor from a 330Ω one? Got a weird transistor and can't determine if it is NPN or PNP? Fear not we have what you are looking for! Control the real world from a Python powered web app...oh and make all the lights flash like you are on the bridge of the USS Enterprise...but no exploding consoles! Create fun and easy to use prompts / menus for your Python projects! Taking a break from tech this week and in this post we learn how to convert a tool keychain into a folding keyholder. Need to update a kernel but a bit scared? No need to panic with this easy to use GUI tool. A quick blog post explaining the last few months, and a short story explaining a part of what makes me...me! 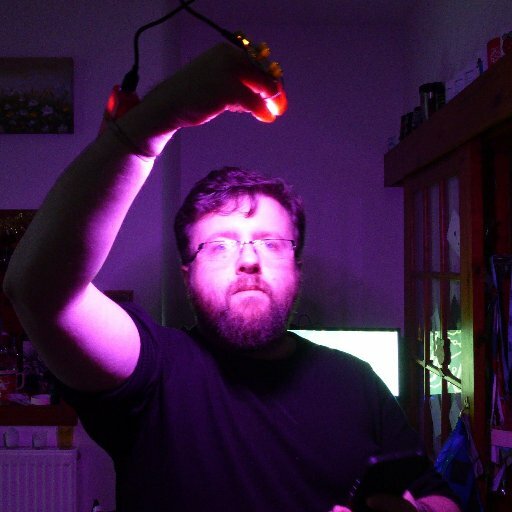 Grab some cheap Poundland LEDs and learn how to use them with your micro:bit. This post is a reference source for those taking part in my Bett workshop. But anyone can have a go. Six new projects covering Python, Pi, Arduino and much more!